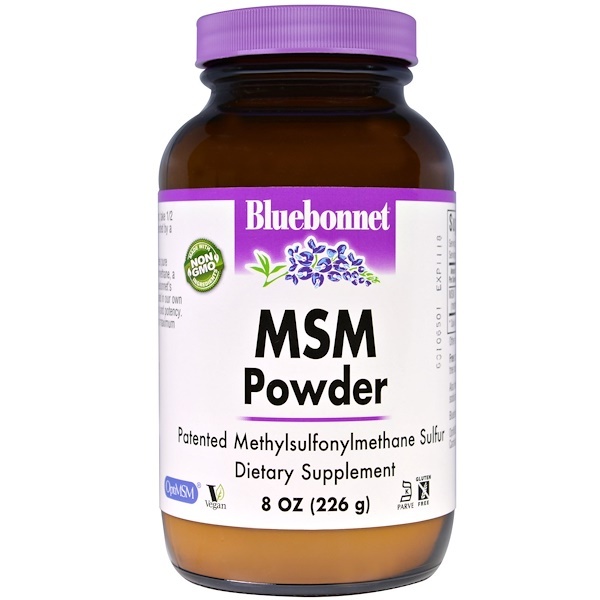 Bluebonnet's MSM Powder provides pure patented OptiMSM methylsulfonylmethane, a non-toxic form of active sulfur. Bluebonnet's MSM Powder is all natural and tested in our own state-of-the-art laboratory for purity and potency. Available in easy-to-mix powder for maximum assimilation and absorption. 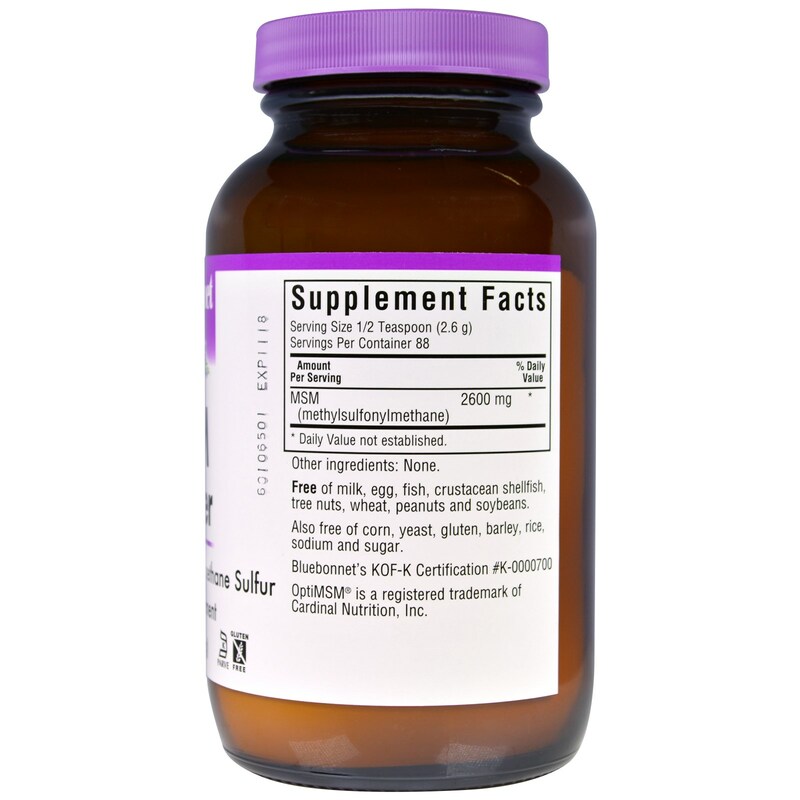 As a dietary supplement, take 1/2 teaspoon daily with water or as directed by a healthcare practitioner. Free of milk, egg, fish, crustacean shellfish, tree nuts, wheat, peanuts and soybeans.